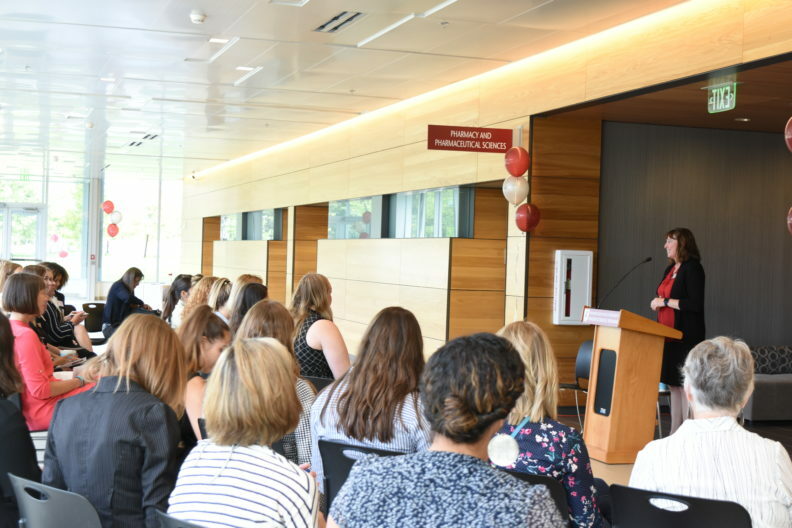 WSU NEW Leadership is a part of a national network of NEW Leadership programs developed by the Center for American Women and Politics (CAWP) at Rutgers University. Our program is designed to educate, empower, and encourage college women to become politically active and to take on leadership roles. Students participate in interactive sessions that will enable them to discover and refine their leadership talents and styles. Students engage in a variety of exercises during the week that will give them the opportunity to practice and receive professional feedback on practical skills such as communicating with diverse audiences, conducting effective political negotiations and engaging in coalition building. Our curriculum is not lecture based. Students will learn about public service and political leadership first hand. Women leaders, including current and former legislators, appointed officials, legislative and campaign staffers, lobbyists, activists, and others, serve as your educators as you attend and actively participate in roundtable discussions, panels, and keynote sessions with these seasoned mentors. Several women leaders will live in student housing alongside institute participants and join in all the week’s events, giving students the rare and valuable opportunity to learn through informal conversations with political practitioners. During the institute, you will have the opportunity to develop a network of politically and civically engaged people that you can continue to call on to sustain and energize your political action for years to come. Participants will work closely with one another during the week researching and formulating strategies to support or oppose a contemporary legislative proposal and will make connections with their peers through this sustained interaction. Students will also be provided with business cards and be given the encouragement and opportunity to network with local, regional, and national political leaders during the institute. Students will receive practical tips about how to approach potential mentors to inquire about career advice or employment opportunities. There is no direct cost to students. Instead, as part of the practical experience of learning to raise money, each student is required to secure a program participation fee from their college or university. Housing, food and all program materials are provided for the full six days of the program. Students are responsible for their own transportation to and from the summer institute. The first institute was held in July 2018 and was supported by a generous grant from the Women’s Funding Alliance.